Lying at the heart of the Mediterranean at the strategic crossroad between Europe and North Africa, Malta is a melting point of history, cultures and languages brought together through trade. This tradition of international business continues today in Malta’s thriving economy. As a member of the European Union with excellent economic growth rates, sound financial, judicial and health systems, Malta provides your businesses with an ideal location to grow. Malta enjoys an excellent climate all year round, an exceptional high standard of living for individuals and families, low daily running costs for businesses, excellent office space at reasonable rents, a motivated and well educated labour force, and much more, providing an excellent alternative to other more known, busy, and high-cost business centres. Salaries are around 50% of those in leading EU and international jurisdictions. There is a large pool of professionals with specialisations in the fields of Business & Management, Accountancy and Audit, Law, Medicine and Communications. Furthermore, Malta’s small size allows its governance structures to be tailor-made for the needs of the economy and its businesses, and its public authorities are known to maintain excellent and open relations with the business community. English, together with Maltese, are Malta’s official languages. English is universally spoken and written and is the language of education and business in Malta. All laws, regulations and signage are available in English. Italian, French and German are also spoken by some Maltese, and major world languages including Russian and Chinese are easily sourced due to the great number of foreigners and expats living in Malta. With a sound banking system that was left unscathed by the recent financial crisis in Europe, Malta’s banks provide international businesses with a full range of commercial and trade finance solutions. A considerable number of international banks operate from Malta, making the finance sector a strong contributor to the island’s economy. The finance market is further strengthened by a large number of insurance companies domiciled in Malta, as well as Fund Management companies, creating further synergies in the well-developed market. The banking system is regulated by the Malta Financial Services Authority and Malta is part of the Eurozone since 2008, allowing the Central Bank of Malta to participate in the preparation and decision-making process of the Eurosystem’s monetary policy. Maltese businesses are well connected in the region through Malta’s membership in the European Union as well as a vast network of bilateral trade and tax agreements with all the major investment markets worldwide. International business and foreign direct investment is drawn to Malta by its highly attractive and efficient tax system which provides many fiscal incentives making it a leading jurisdiction for tax efficiency in corporate structures. 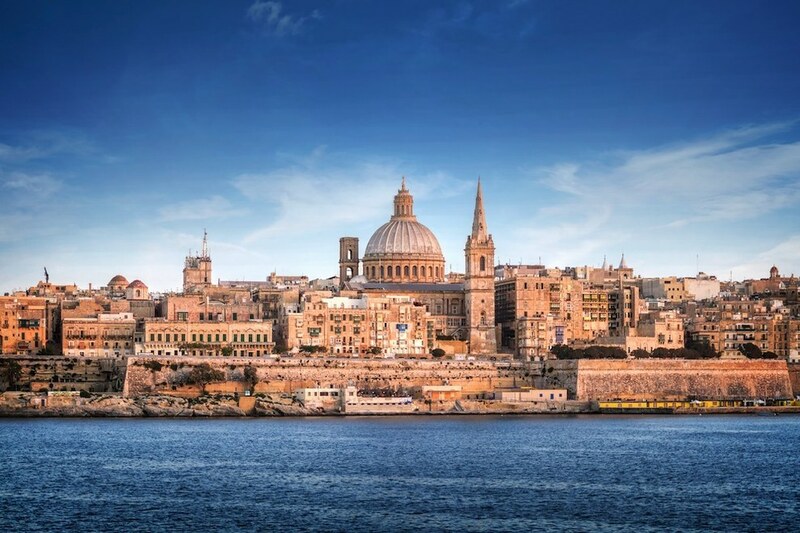 Malta is the only EU country that operates a full imputation system of taxation and does not impose any withholding taxes on dividend, interest and royalties. Companies resident in Malta are charged at the standard corporate tax rate of 35%, whilst its shareholders are entitled to claim a refund on the tax paid at company level. This is also available to companies that operate through an oversea branch in Malta. There are different refunds available to shareholders once dividends are distributed, depending on the activity of the company. For example, a shareholder is eligible for a 6/7ths refund on company profits earned from trading, whilst a 5/7ths refund is provided on passive income such as royalties. These compute to an effective rate of tax of 5 and 10%, respectively. A full refund is also available when profits are derived from a participating holding which qualifies for the participation exemption. There are numerous professional accountancy and tax advisory consultancies in Malta including all of the international “big four”, providing excellent advice to companies and individuals on how to obtain the best level of tax planning. Malta’s ICT infrastructure is highly developed, with fiber optic broadband and 4G mobile connectivity covering the whole island. Malta is very well connected to the high-speed fibre optic international backbone and the island is also set to be a test bed for 5G mobile technology, after a global telecommunications company decided that Malta provides it with the best testing grounds. With a highly competitive market and a number of leading international i-gaming and software companies based there, Malta is able to offer the right digital environment for all businesses. Malta is also a major logistics and transhipment hub due to its strategic location and world-class Freeport facilities. Operated by one of the largest shipping companies in the world, the local Freeport allows goods to be transhipped through Malta, with value added before onward shipment, tax-free. The local authorities want the logistics industry to become a pillar of the Maltese economy. Other major contributors to the Maltese economy are the tourism, maritime, pharmaceutical, manufacturing and aviation sectors. There is also renewed focus by public authorities to attract on investment in the education and healthcare sectors, and announcements of over €500 million of foreign direct investment in these two sectors have been made in 2015. The Maltese tax system is a highly competitive one which is attractive for international businesses wishing to invest in Malta. Malta is an open and competitive economy which encourages direct investment and the Maltese public authorities have a strong tradition of encouraging foreign investors to establish operations in Malta. INFO BOX: Maltese standard time is one hour ahead of the UK (GMT+1), and six hours ahead of US EST, allowing business to run smoothly with the rest of the global business. Follow this link and check out our latest property for rent in Malta. Renting property in Malta is easy and affordable.